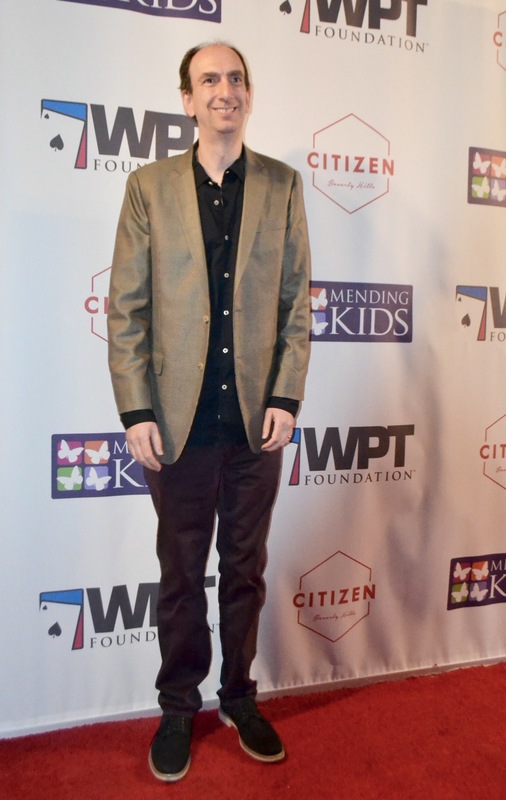 The Hollywood Press Corps had the pleasure of attending the World Poker Tour Presents “Four Kings & an Ace” to benefit Mending Kids International on Friday night. 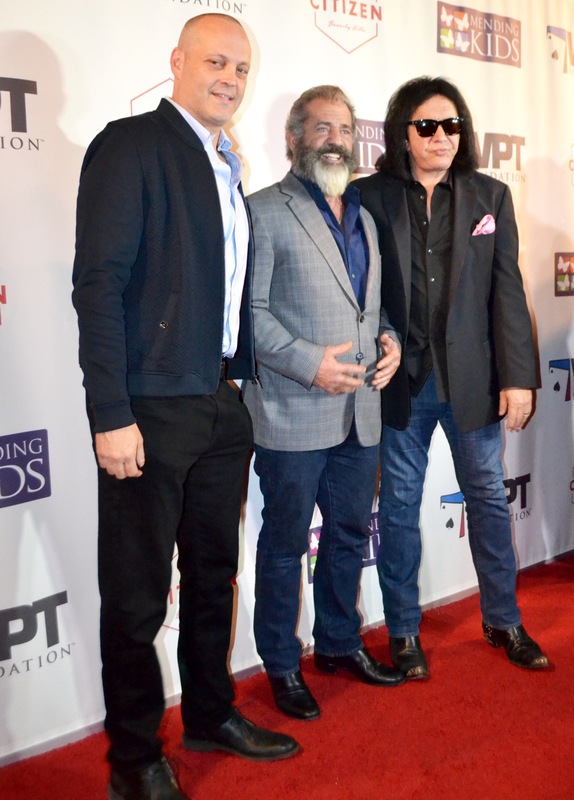 The event was hosted by Mel Gibson, Vince Vaughn, Andrew Garfield and Gene Simmons who played along side WPT champions Erik Seidel and Scotty Nguyen. The winner of the tournament was David O’Day. 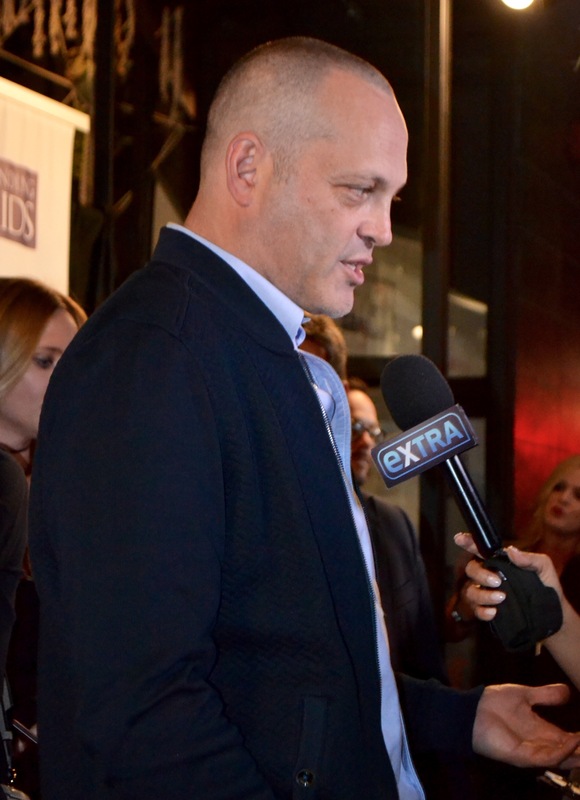 In addition to the special charity poker tournament held at CITIZEN Beverly Hills, the guests and players were also able to enjoy casino games and live and silent auctions, with proceeds benefiting Mending Kids International, a California-based non-profit that formed in 2006 that provides life-changing surgical care to children from around the globe in need. 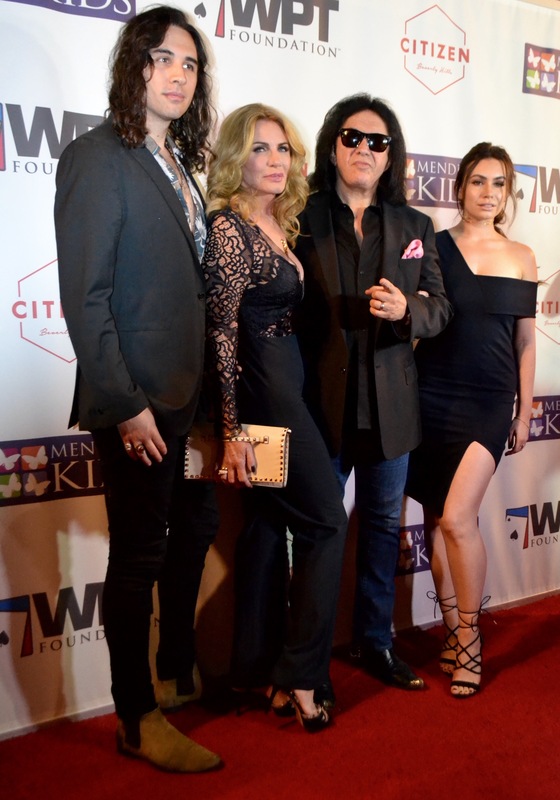 Other celebrities attending the event were Shannon Tweed-Simmons, Sophie Simmons, Nick Simmons, Weston Cage, Michael Galante, Kevin Pollak, Masiela Lusha, WPT Co-Commentator Mike Sexton, and WPT Anchor Lynn Gilmartin. To date, WPT Foundation has helped raise more than $6 million to benefit global philanthropic organizations such as Mending Kids. Mending Kids provides life-saving surgical care to children worldwide, including the United States. Over the years, thousands of children have received corrective, transformational surgeries that have given them a chance at longer, healthier, and happier lives. Most of the surgeries performed correct congenital heart defects, orthopedic abnormalities, severe scoliosis, and significant cranial facial deformities. Mending Kids’ work is accomplished in 63 countries, including the United States through four core programs: Overseas Surgical Missions, including the Sustainable Teaching Program; US Hometown Missions; Individual Surgical Care; and Training, Research, and Innovation. World Poker Tour (WPT) is the premier name in internationally televised gaming and entertainment with brand presence in land-based tournaments, television, online, and mobile. Leading innovation in the sport of poker since 2002, WPT ignited the global poker boom with the creation of a unique television show based on a series of high-stakes poker tournaments. WPT has broadcast globally in more than 150 countries and territories, and is currently producing its 15th season, which airs on FOX Sports Regional Networks in the United States. Season XV of WPT is sponsored by ClubWPT.com, a unique online membership site that offers inside access to the WPT, as well as a sweepstakes-based poker club available in 35 states across the United States. ClubWPT.com also sponsors Season 3 of the WPT Alpha8 series of super-high roller poker tournaments which airs on FOX Sports 1 in the United States. WPT also participates in strategic brand license, partnership, and sponsorship opportunities. WPT Enterprises Inc. is a subsidiary of Ourgame International Holdings, Ltd. For more information, go to WPT.com.